FAST is the market leader in developing innovative machine vision systems in Asia. Since 1982, FAST has continued to advance the technology of image processing systems, not only in recognition of shapes and colors, but also in the processing and analysis of that information. Early on, FAST pioneered a compact, lightweight and low-cost (under one million yen) image processing system. It also developed the first practical application in Asia using high-speed, gray-scale pattern matching. FAST has been making breakthroughs in image processing technology ever since, including advanced aligner algorithms, high-performance positioning search libraries and flat panel inspection systems. Recently, FAST has developed a non-destructive inspection system for concrete structures, attracting attention from around the world. Today, FAST systems and technology are used across a wide array of industries, from roads and construction to electronics and semiconductors. We are committed to developing a deep understanding of image processing technology and its application. Headquartered in Kanagawa , Japan, FAST operates 7 offices in 5 countries and serves more than 1800 corporations worldwide. 【Business Description】 Designs, develops, manufactures, markets and maintains machine vision systems. Please click here for contact information of each office. Founded in Yamato City, Kanagawa as Creative Systems. Moved Headquarters to Yokohama City. Changed the company name to FAST Corporation. Built new Headquarters in Yamato City, Kanagawa. Opened Fast (shanghai) Imaging Technology in China. 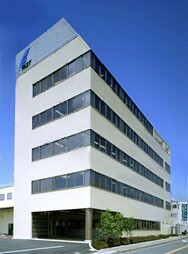 Opened Sagami Factory in Ayase City, Kanagawa. Opened Tokyo Office in Shinjuku Ward, Tokyo. Moved Sagami Factory to Headquarters and changed the name to Headquarters Factory. ,Opened Nagoya Office in Nagoya City, Aichi. Moved Tokyo Office to Headquarters. ,Opened Expat Office in Bangkok, Thailand.